Highlighting has never been this easy with the Sharpie Highlighter RT. No more caps to lose, just quick-drying, vibrant colored inks with imprint-friendly white barrels and trims to match the ink color at the click of a button. 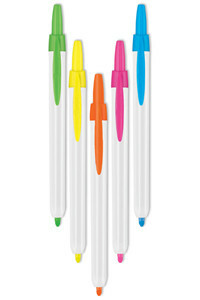 To keep you worry free, the Sharpie Highlighter RT uses a signature Safety Seal feature to prevent dry-out and allow you convenience. Next time you need to CLICK & GO, pick up a Sharpie Highlighter RT. Retractable with Safety Seal valve design that prevents dry-out. White barrels and trim that matches ink color for easy identification. Sleek barrel design with sturdy clip. High-quality, micro chisel linear fiber tip for wide or narrow lines. 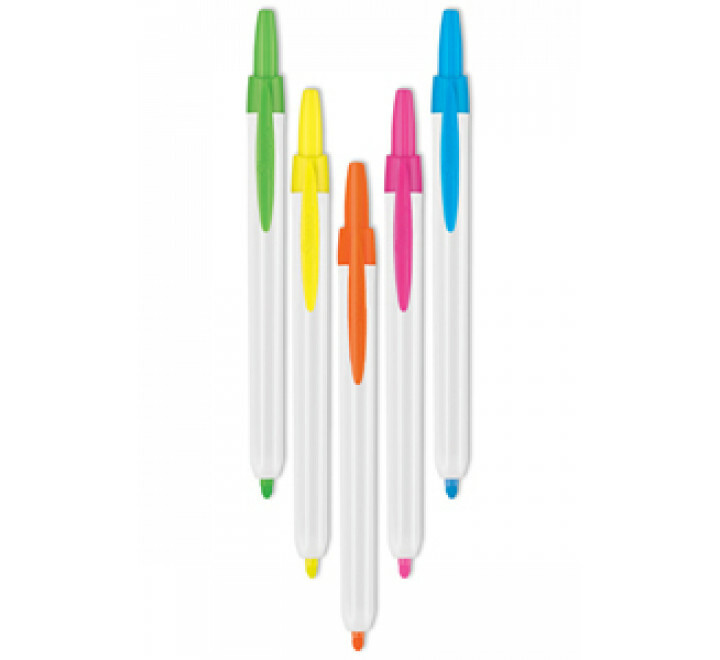 Sharpie Highlighter RT can be customized with a multi-color imprint. * Price includes a 1 colour print, one location.